Yalu is a tense, competition-oriented wargame covering the Communist Chinese surprise attack against the U.S.-led U.N. army in the winter of 1950. In November of 1950, the United Nations counteroffensive against the North Koreans seemed to be in the final stages of a mop-up. Everywhere the Inmun Gun (the North Korean Army) was in full retreat toward the Chinese border, closely pursued by the victorious Allies. Chinese intervention in the war had been considered and dismissed as a bluff by the UN Command. Thus, the UN forces were badly overextended when the bluff materialized as a force of thirty divisions, having infiltrated into the Korean mountains. UN forces were sent reeling back to the 38th Parallel in confusion, attempting to reestablish a front line. The Communists followed relentlessly, infiltrating deep into UN positions. They attacked without caution, accepting high casualties in order to sustain momentum. Units in Yalu are mostly divisions, with some regiments and battalions. Ground scale is 10 miles per hex and turns are weekly. Weather plays a predominant role, influencing movement and combat options for both sides. Yalu, like no other game, effectively shows the differences in the opposing sides' Rules of Engagement - the two sides simply feel and play differently. Yalu was John Hill's first design and was a test-bed for many of his other game ideas. 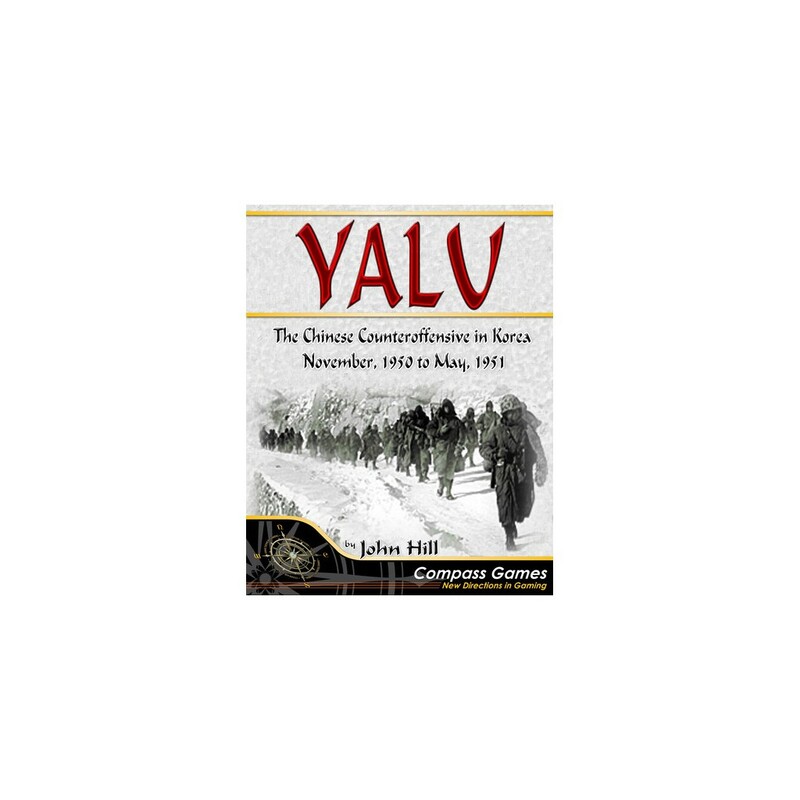 This is the second edition of Yalu; the first was published in GDW's Conflict Games line in 1977. The 2009, Second Edition of Yalu will be a fully updated version of the game with all new graphics, all known errata included and some additional rule updates.